Once upon a time a little girl dreamed of being a mom. She played with dolls, forced her baby brother to play house, started babysitting at age 12, worked as a full-time nanny, and became a labor and delivery nurse, all the while dreaming of her own babies. She met her Prince Charming and settled in to their home, decorating the nursery before any other room in the house, because now was the time for her dream to come true. Fast forward a few years and finally her dreams of becoming a mommy did come true. A baby boy was born in a land about an hour up the road and he was in need of a mommy and daddy. The baby boy with the sweetest face and crazy chicken fluff hair immediately captured her heart. 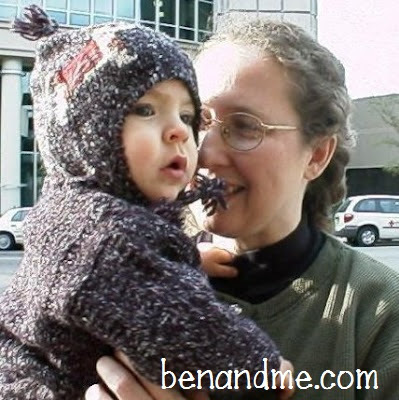 Hi there — I’m Marcy and you probably know by now that I am the mommy in the story (and the “me” in Ben and Me). Our adoption of this precious baby boy changed my life and today Ben is a Lego-lovin’, rock climbin’, animal-obsessed 13 year old who dreams of some day becoming a veterinarian and applying to NASA. His favorite school subjects are science and history. His least favorite subject is math. Therefore, my least favorite subject is math. Tom and I have been married for 16 years, but we dated for 7, so that means we’ve together pretty much forever. We live in the beautiful state of Kentucky, where he has always lived, but not me — I am a transplant from Arkansas, via Florida. Woo pig soohie! We decided to homeschool Ben at the age of 3 when he taught himself how to read, and I was sure he was a genius (he’s not). By the time he started kindergarten, that didn’t matter because it was crystal clear that school would not be for him. He was never still, never quiet, and was reading several grades above his grade level. I could hear the kindergarten teacher in my head — Ben, sit down! Ben, be quiet! Ben, leave that alone! Ben! Honestly, I’ve spoken those words a few times myself! Diagnosed at the age of 9, Ben is gifted with ADHD. While we truly believe this is a gift for him (even though it comes with many challenges), I know with all my being that homeschooling is best for him because of it. But that’s not why we continue to homeschool. We continue to homeschool because we believe that as Ben’s parents, it is our God-given responsibility to teach, train and disciple him. It’s hard to do that if you’re not together for most of the day. Our homeschool is delight-directed, because that’s how Ben learns best. I sometimes refer to it as “homeschooling by the rabbit trail method,” though if I ever write a book about homeschooling, I might title it Homeschooling by the Field Trip Method. You don’t really have to stay home to homeschool, right? I am also gifted — with Lupus and Fibromyalgia — so things can get kind of crazy around here. The gifts of these diseases are teaching me to take better care of our bodies, His Temples, and to lean on Him every day, but especially on those days when I can barely get out of bed, but Ben is bouncing off the walls. Ben is learning to be a compassionate, caring servant. When I’m not blogging or homeschooling, you might find me reading a good book while drinking sweet tea, or crocheting a baby blanket for a friend, neighbor, or our local hospital NICU. I also work as a social media manager, so it’s not unusual to find me on Facebook, Twitter, Instagram, or Pinterest (not always as myself). So that’s us, Ben and me . . . a momma and her boy, spending our days exploring, playing, laughing, learning, living, loving, serving . . . homeschooling . . . together. And sometimes traveling with Dad so he can get in on the good stuff, too. If you’d like a weekly reminder to come and visit us, subscribe below. We like to share some fun and interesting deals now and then, too. And it’s likely I’ll give you something free that I’ve created. You know you don’t want to miss that, right? Are you a publisher or brand looking for a dynamic blogger to partner with you? Let’s chat.